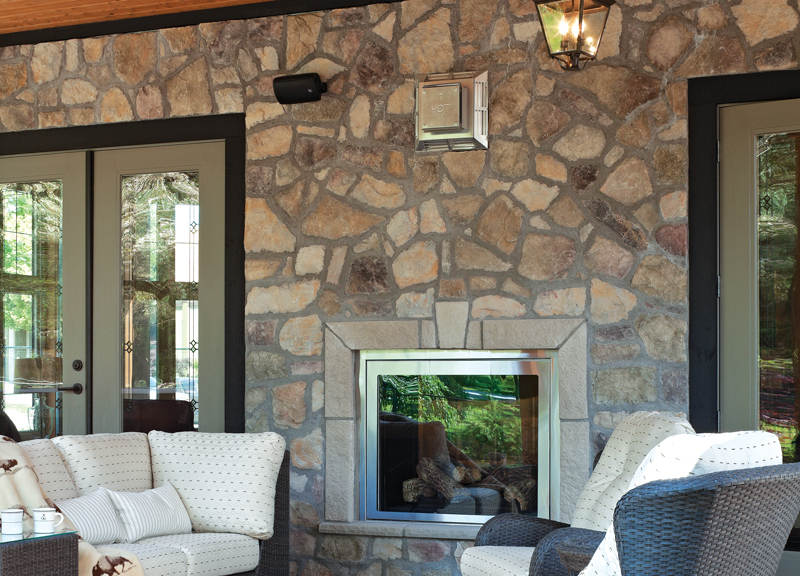 A. Today’s manufactured stone, laminate and tile flooring and faux beams can be excellent choices, even for the most rustic cabin because they’ve been refined to include a wide variety of products that look very much like they’ve come from nature. Faux beams are an excellent choice for a cabin, not just because they provide a beautiful rustic element to your room but also because they’re much lighter than the real thing, which makes them easy to put into place. You can buy ready-made faux beams or go the DIY route. 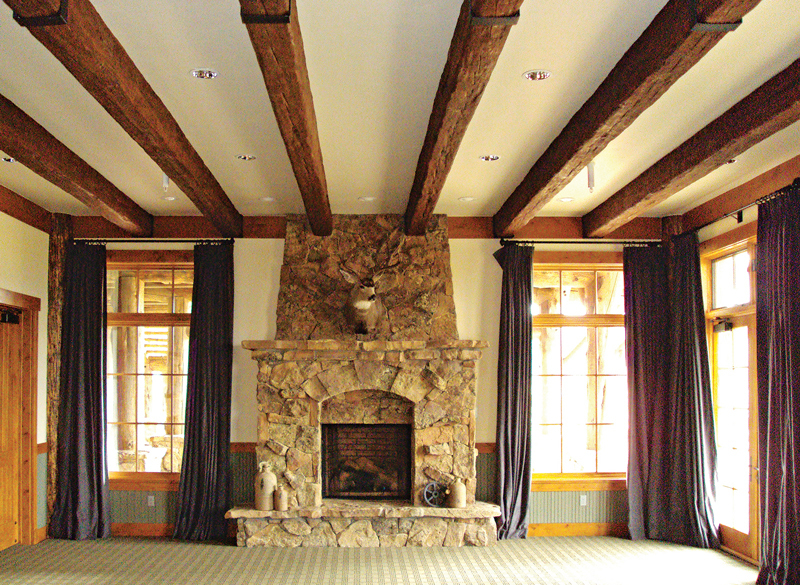 Ready-made faux beams are usually made of high-density polyurethane from companies like AZ Faux Beams and Faux Wood Beams, which provide instructions to install the beams yourself. As for finishes, there are many choices, from a whitewashed look to the more traditional stained appearance. Perhaps your reaction to “high-density polyurethane” is “ewww, plastic – not in my cabin!” If so, you may want to go the DIY route and make your faux beams out of dimensional lumber. You’d be comfortable in the knowledge that you’re using real wood with the advantage of lightweight materials – versus heavy solid-core wood beams. For example, on the Jenna Sue Design Blog you’ll find how-to instructions for making your own beams out of 1x4, 1x6 and 1x8 boards. As for your flooring, there are several options that will likely suit your cabin’s needs, and you may want to take advantage of the current trend to contrast textures and colors by opting for contrast in the looks above and below. 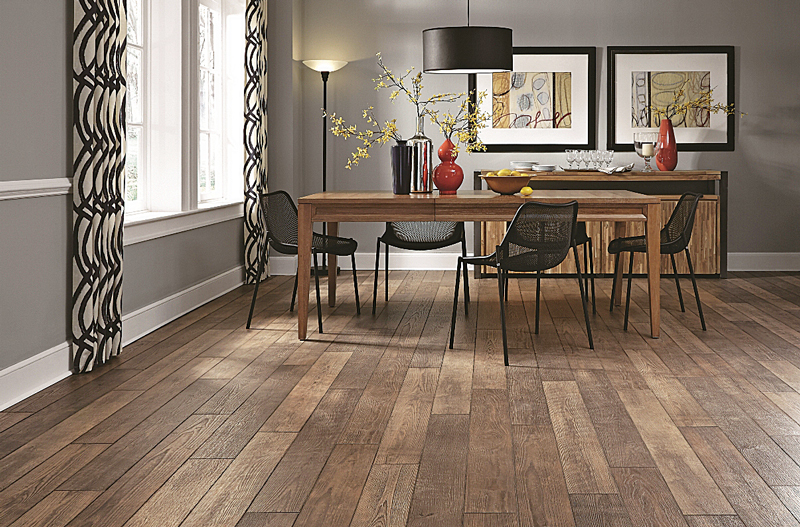 You could also opt for a laminate that has a color and grain that pairs well with the beam’s “wood” color, suggests Mannington Mills’ Betsy Amoroso. That doesn’t mean it has to match; in fact, that may be impossible, Amoroso says. “Today’s rustic looks span everything from traditional cabin-rustic to elegant and refined with a rustic twist,” Amoroso said. “Decorating styles are becoming more eclectic across the board, with consumers mixing styles and finishes to create their own individual style, such as the contrasting look. The beams are a really cool architectural element that could be highlighted by a stain or paint, and an area rug could further soften that look.” She suggests Mannington’s Restoration Collection laminate flooring, inspired by the trend of “refined rustics,” with variations in color and texture as well as wood species, or its Revolutions Plank Collection for an even more rustic look. 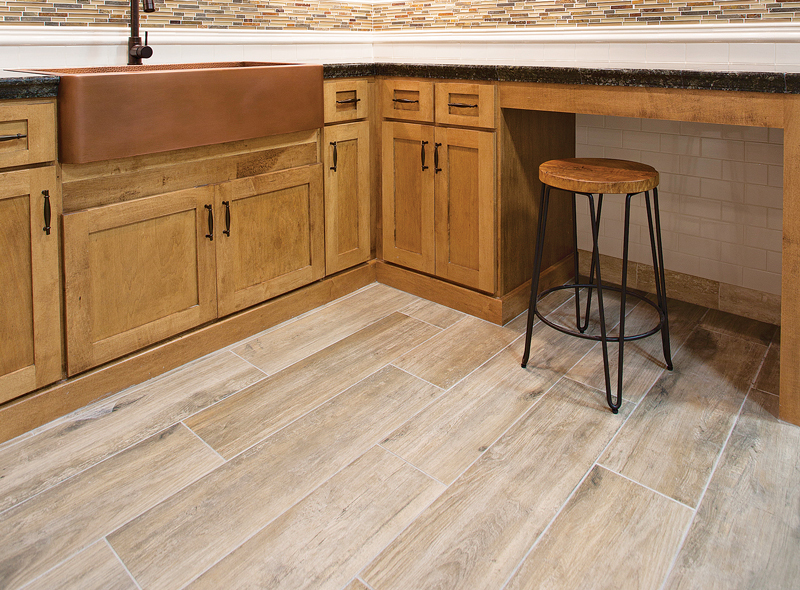 Another option for your floor could be a wood-look tile made from ceramic, porcelain or natural stone. Using tile could be an affordable choice in the long run because of the material’s longevity, says the Tile Shop’s Drew Olson. But you may need to add a substrate to the floors because the tile can’t go directly over wood.